The New College Library archives hold the papers of Old Testament and Hebrew and Semitic Languages scholars such as Prof Oliver S Rankin (1885-1956), which contains many writings in German, teaching notes and notes on Jewish festivals, Prof John Duncan (1796-1870) and Prof Norman W Porteous (1898-2003). These papers are important sources for researching Christian academic engagement with the Jewish people and Jewish-Christian Relations. Sir George Adam Smith’s (1856-1942)’ collection includes turn of the century photograph albums of the Holy Land and accompanying notebooks. Jewish texts such as a nineteenth century Torah scroll, a Pentateuch from Nablous, Yitzchaki’s Commentary on Deuteronomy and a manuscript copy of Bedarshi’s ‘Sepher Bechinath Olam’ can be found in our miscellaneous ‘Box’ collection. Extracts from Weemes’ ‘The Christian Synagogue’ – Importance of the Hebrew language within Christian spirituality entitled: ‘The excellencie of the Hebrew language. In the Antiquitie preservation from confusion from the beginning, and the eternal lasting of it in heaven. With an epistle dedicatory to the Earl of Haddington, by Walter Swintoun. This collection contains many interesting types of material relating to Palestine, including letters, correspondence, diaries (some with illustrations), sermons and photographs. Papers relating to the Church of Scotland’s Mission of Inquiry to the Jews, Palestine, 1839. 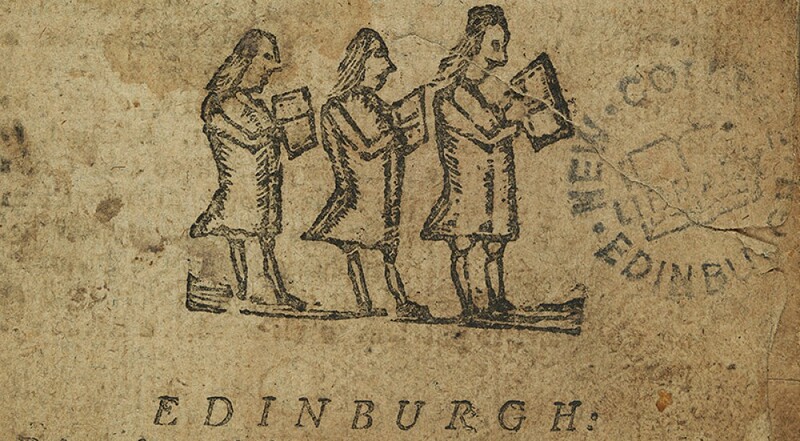 Material can be found throughout New College’s archives relating to this mission, including in the papers of the Rev Robert Murray McCheyne (ref. MS MACCH), papers of Rev Andrew A Bonar (ref. GD38), and the papers of Alexander Thomson, Esq., of Banchory (ref. MS THO). The archives of the Rev Prof Alexander Whyte contains many sermons relating to the ‘Jewish Church’, such as can be found in boxes ref. MS WHY 5, 6, 7, 9, 25 and 35. Papers of Joseph Oldham New College Library, ref. MS OLD, MS 5026-7, MS BOX 25.3.3. and Centre for the Study of World Christianity ref. CSWC2 New College is privileged to hold many papers by Joseph Oldham, who is regarded as the father of modern ecumenism. They provide insight into theological, ethical and racial matters both in wartime and the intervening years of peace. Professor Norman Porteous is believed to have been the University of Edinburgh’s oldest graduate and had almost his entire career in association with the university. His correspondence spans the majority of the 20th century and includes letters in German to and from theologians such as Rudolf Bultmann, Karl Barth, Walther Eichrodt and Martin Noth. Some letters are especially revealing about life in Germany during the 1930s and 1940s. 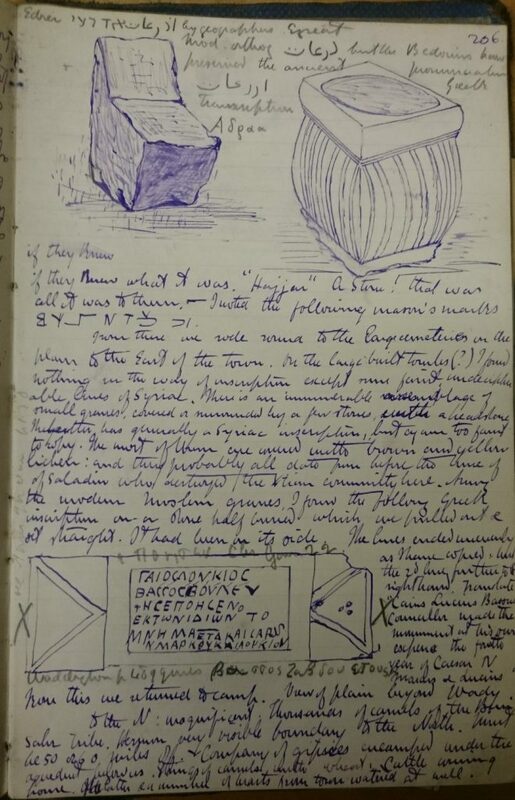 Professor Rankin’s papers contain a plethora of notebooks containing careful notes on topics such as the Pentateuch, Jewish philosophic thought, the Midrash, rabbinics and the Talmud. Notes have been taken from sources in German, French and Hebrew. Contained within the Manson papers are two notebooks entitled ‘Jewish Origin’ and ‘Jewish People’, while many of his sermons incorporated information on the history of the Jews as found in the Old Testament. 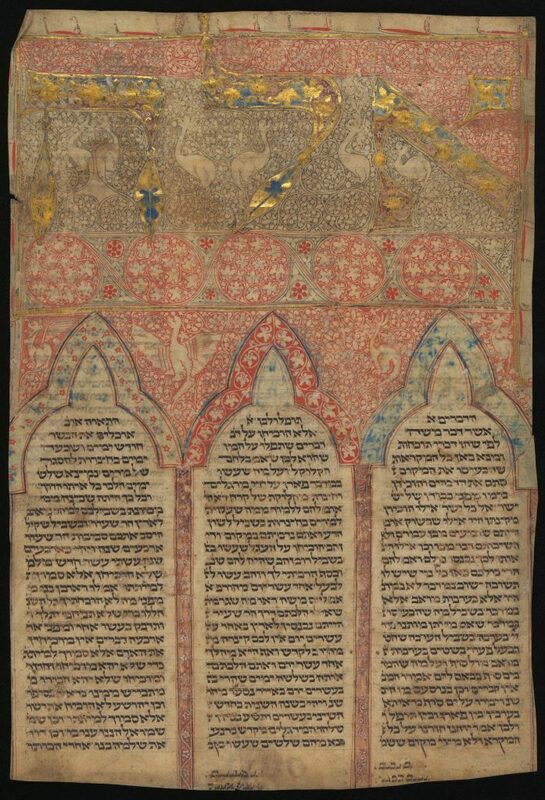 Bound manuscript copy of Sepher Bachinath Olam (The Book of the Examination of the World), written in Krakow, Poland. It contains notes by Rev Prof Oliver Shaw Rankin, Chair of Old Testament Language, Literature and Theology at the University of Edinburgh. This entry was posted in Archives at New College Library and tagged archives, Jewish, Judaism, new college library by cloverodgers. Bookmark the permalink.